A Worthing home associated with incidents of ‘anti-social behaviour and drug issues’ has been given a partial closure order, police said. 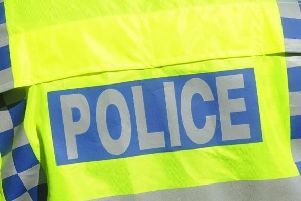 A spokesman for Adur and Worthing Police said the closure order, under the Anti Social Behaviour Crime and Policing Act 2014, was heard before the courts and served on Thursday, April 4. The order means that only a select few are allowed in the address for the next three months and if people who are not allowed in the address are located inside they will be arrested. A Sussex Police spokesman said: “The partial closure order was at 61 Lanfranc Road, Worthing. It prevents everyone apart from the tenant, his mother and emergency services from entering the property for three months. Officers received reports of anti-social behaviour at the address for some time, Adur and Worthing Police said.